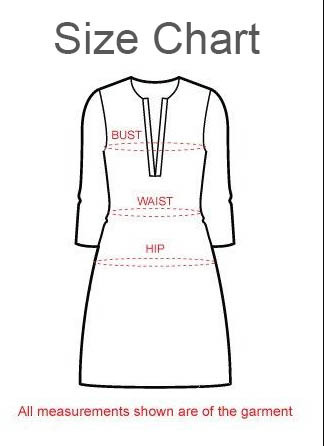 Flaunt that gorgeous figure in this stunning piece of ethnic clothing with a contemporary twist named ‘Drama Rama White Poly Crepe Straight Fit Tunic Top’ from the house of Snehal Creation. The neck region is black in color and is designed to have a boat shape. The main body of the tunic is white has interesting abstract design patterns. The base of the tunic is yellow and provides a ravishing contrast. Wear this with a black pair of jeans and rock the day in style.